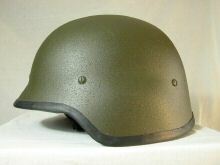 Possibly civil police rather than military issue. 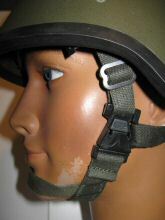 Note especially differences to chinstap rig from the example above. 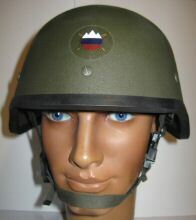 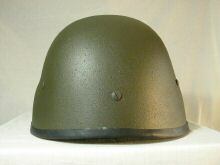 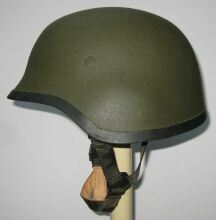 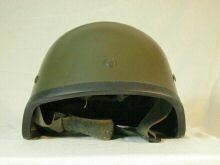 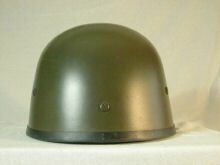 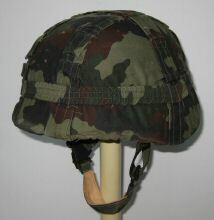 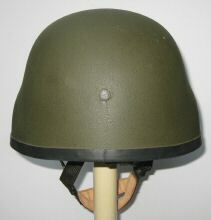 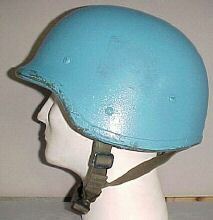 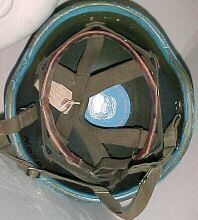 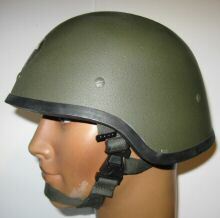 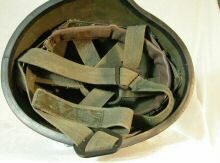 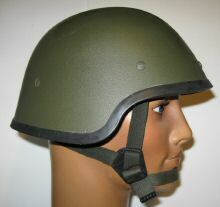 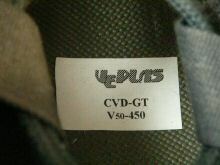 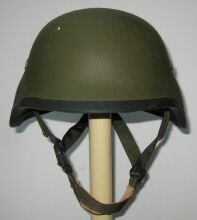 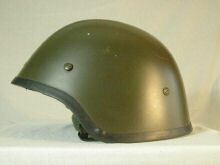 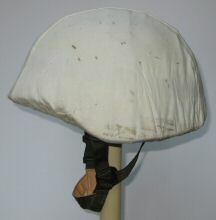 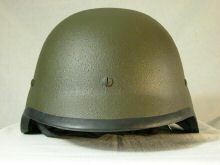 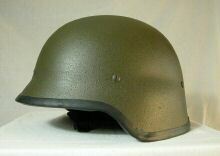 This un-labelled helmet is un-issued and may be part of a trial / evaluation. 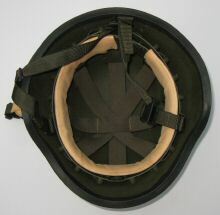 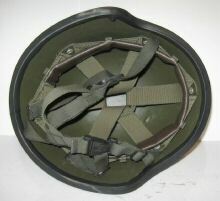 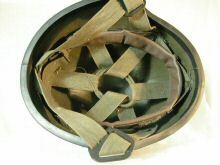 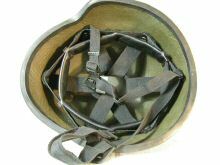 It has a 3 point harness, a NOSHA-style buffer behind the headband and unusual hexagonal liner bolt heads.